Her name was Hepzibah Cabot. Hepzibah was a proud, staunch woman. Her husband Winfred was a sea-going man, as most men from here were in those days. He was away at sea for long stretches of time, although the relationship between them was of such a volatile nature that Hepzibah was never especially unhappy during his absences. She was a big woman, tall and raw-boned, who, it's claimed, could cut wood and lay bricks better than any man in town. People didn't divorce in those days and I suppose they would have lived out their lives together if Winfred hadn't taken up with another woman during one of his trips. I'm not sure how Hepzibah found out about it--some accounts claim he told his wife to make her jealous--but the result was violent and bloody. I usually leave out the graphic aspects if children are on the tour, but since we don't have any little ones with us today, I'll say that Hepzibah took an ax to her husband, severing his head and throwing it into the sea from a large rock along the shore. Then she threw herself into the ocean and drowned. Some people likened Hepzibah to Lizzie Borden, except that no one ever disputed the facts in this case. Hepzibah killed her husband and killed herself. Now people often ask me why Hepzibah came to be known as "The Legend of Cabot Cove," when philandering husbands and murderous wives are as common as barnacles on the pilings of the piers jutting out in the ocean. And I tell them it's because in most cases, once the principals were dead, they stayed that way. But not so with Hepzibah Cabot. She's drifted around for centuries moaning about her adulterous mate, both missing and cursing him in one breath. 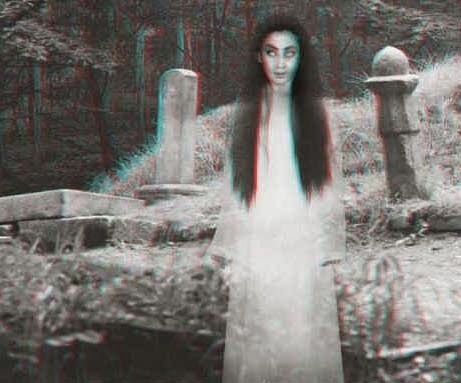 Even today, people claim to see her in various places, wandering on the beach with seaweed streaming from her hair, or in the cemetery, staring down at her husband's grave, even though his resting place is on the opposite side of the graveyard from hers. 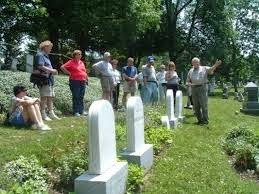 Townsfolk buried Hepzibah and Winfred as far away from each other as they possibly could because of the bad blood that existed between them. So if you see the Legend of Cabot Cove this All Hallow's Eve, spare a moment of silence or a quiet prayer for this poor lady who can never rest in peace. And whether or not any ghosts come to your door to say "trick or treat," I wish you Happy Halloween! If you'd like to learn more about the Legend and my good friend Jessica Fletcher's encounters with a medium, a witch, and yet another murderer, she tells the story in Trick or Treachery. And while I've never seen the Legend myself, lots of people have, Jessica among them. Have YOU ever seen a ghost? Trick or Treachery is number 15 in the "Murder, She Wrote" series. 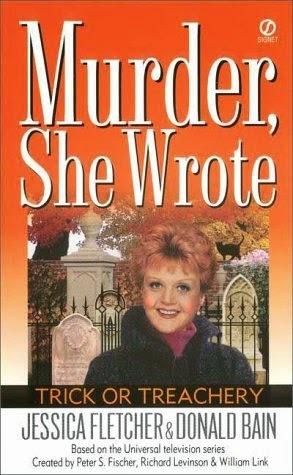 2014 is the 25th anniversary of "Murder, She Wrote" in print. All 42 of the original mysteries in the series are still in print with one at the publisher and three more percolating in our imagination. I've never seen one, and hope I never do! Scary! Happy Halloween! I've never seen a ghost myself (and I'm perfectly okay with this---lol), but I do know a few people who claim to have. Very creepy! We haven't seen one either Willow and Nicole, but we know folks who have. Thanks for stopping by. I love this. 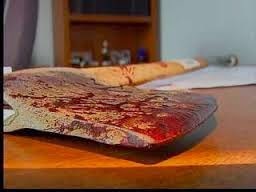 Lizzie Borden, move aside! Happy Halloween! I wish I could tour haunted Cabot Cove with you. I love learning about local haunted spots. I've had a few ghostly encounters myself. The "biggest" encounter happened while I was in college in our haunted theatre. I've also felt a ghost dog at a winery. Donald and Renee, thank you for the great Murder She Wrote books, As a fan of the series I was skeptical, but that faded quickly after reading "Trick or Treachery." It was my first but not my last. I do prefer the stories set in Cabot Cove but as a Savannah, Georgia lover, I loved "A Slaying in Savannah." Great job writting such smart and enjoyable books. Happy Halloween and happy writting.